5 Egyptian Attractions | Ancient Egyptian Pyramids & More! Home to vast deserts, prehistoric monuments, and one of the greatest rivers in the world, Egypt offers travellers a kind of adventure that’s uniquely its own. Check out these five unmissable attractions and start planning your own Egyptian escape today! 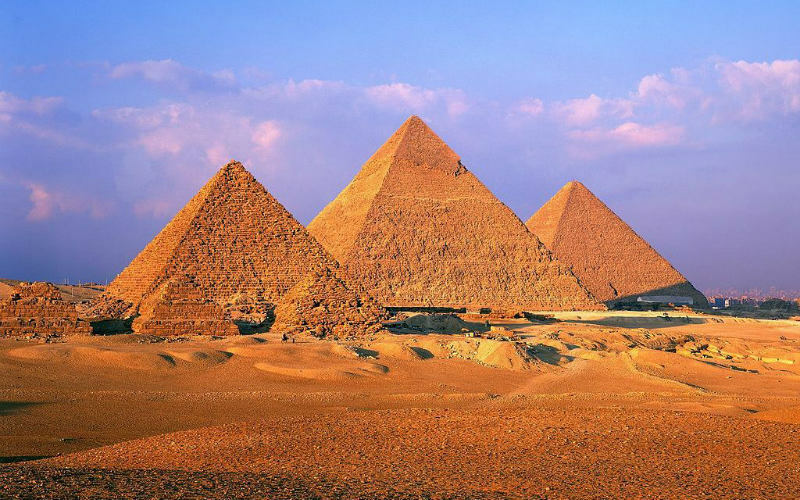 The oldest (and only remaining member) of the Seven Wonders of the Ancient World, the Pyramids of Giza were built in honour of the pharaohs Khufu, Khafre and Menkaure. Constructed some 4,600 years ago, these incredible structures are the most famous examples of ancient Egypt’s astounding power and engineering. At the time of its construction, the Great Pyramid stood some 146 metres tall—roughly the height of a 30-story office building. Adding to their grandeur, the pyramids were originally coated with a polished layer of white limestone so that they gleamed and sparkled in the sun. Nearby, the Great Sphinx is a 74-metre-long sculpture that was likely made in the image of King Khafre (2575– 2465 BC). This monument was carved whole out of limestone bedrock; although the rock now displays its natural colour, pigment residue suggests that the entire sculpture was originally painted. Despite their immense age, the Great Sphinx and the Pyramids of Giza continue to astound historians and archaeologists—and tourists—from all around the world. The Pyramids of Giza, Egypt. Image Credit: Jeaaann / CC by 3.0. Comprising more than two square kilometres of temples, sanctuaries, pylons and obelisks, Karnak Temple Complex is the second largest religious site in the world, eclipsed only by Cambodia’s Angkor Wat. In fact, Karnak is large enough to house 10 standard European cathedrals, and its main structure, the Temple of Amun, takes out the title of the largest religious building to ever be constructed. It should come as no surprise, then, that this was considered the most important place of worship during the time of the Egyptian Empire. Most of what you’ll find here was built, dismantled, restored, added to and decorated over a period of about 1,500 years. 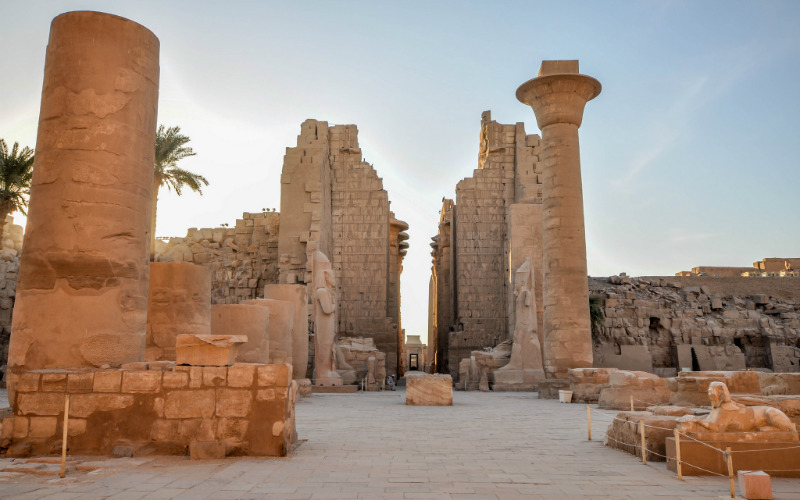 Thanks to this long history of construction, Karnak offers an extensive insight into Egypt’s ancient practices and beliefs, with some of the earliest and most recent deities all being worshipped here. 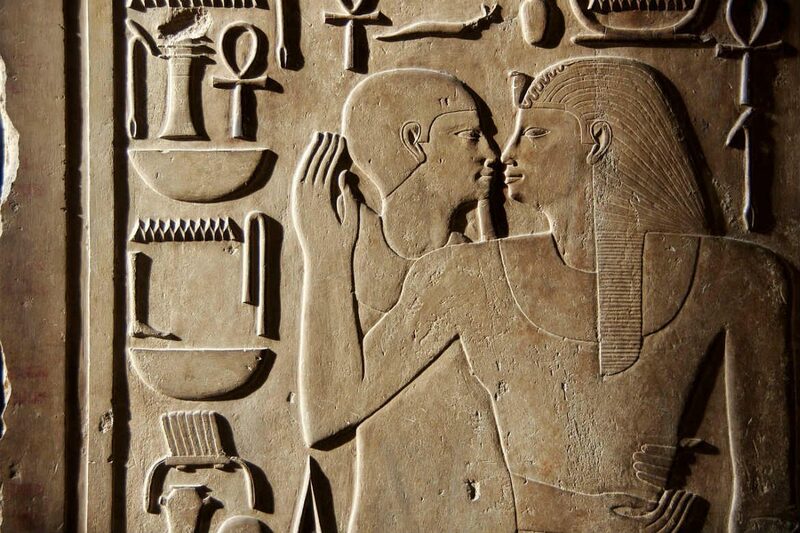 It’s perhaps for this reason that, after the Giza Pyramids, Karnak is the most visited historical site in all of Egypt. The Karnak Temple Complex, Egypt. Image Credit: Jorge Láscar / CC by 2.0. Located in Cairo, the Museum of Egyptian Antiquities is considered to be home to the greatest collection of Egyptian relics, art and antiquities in the world. Founded in 1835, the museum was originally designed to protect Egypt’s national treasures from both deterioration and widespread looting. Today, the museum’s 120,000-item collection includes many priceless artefacts such as the Narmer Palette (the oldest historical document in the world) and the funerary mask of Tutankhamun, made from 11 kilograms of solid gold. In fact, the museum boasts an entire exhibition dedicated to Egypt’s youngest – and most famous – pharaoh. With a range of stunningly jewellry, walking canes and sarcophagi all belonging to the young king, this exhibit is one of the museum’s most popular attractions. Get there early to beat the crowds, or take a guided tour to learn more about Egypt’s fascinating history. The Egyptian Museum, Cairo, Egypt. Image Credit: Mark Fischer / CC by SA 2.0. Located opposite Thebes, on the west bank of the Nile, the Valley of the Kings is one of the most famous archaeological sites in the world. The main burial site of the Egyptian royal family during the Egyptian Empire, the valley contains 63 known tombs and chambers, including that of King Tutankhamun. 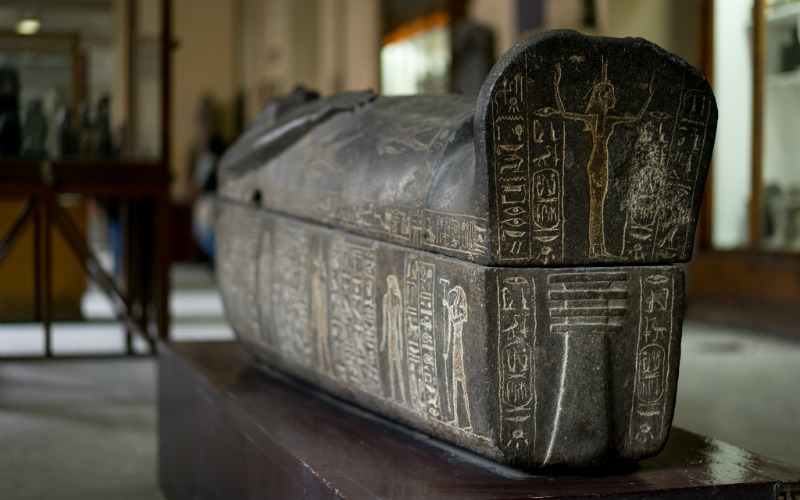 A must-visit for any history buff or aspiring archaeologist, the tombs’ extensive decorations offer fascinating insights into ancient Egyptians’ beliefs, funerary rituals and, of course, mythology. Although almost all of the tombs appear to have been broken into and robbed, they still provide an indisputable testament to the power—and wealth—of Egypt’s ancient rulers. This area has become a hotbed of archaeological and Egyptological interest in recent centuries, with two tomb entrances and an entirely new chamber being discovered in 2008 and 2005, respectively. 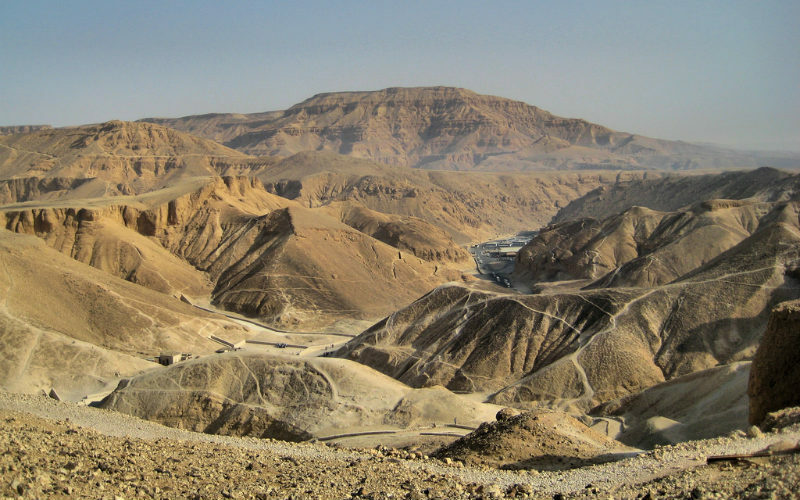 So if you ever visit the Valley of the Kings, remember keep to your eyes peeled—you might see more than you expect. Valley of the Kings, Egypt. Image Credit: Francisco Anzola / CC by 2.0. True to its name, the chalk-white landscape of the White Desert is often said to resemble the scenery of another planet, or the moon. 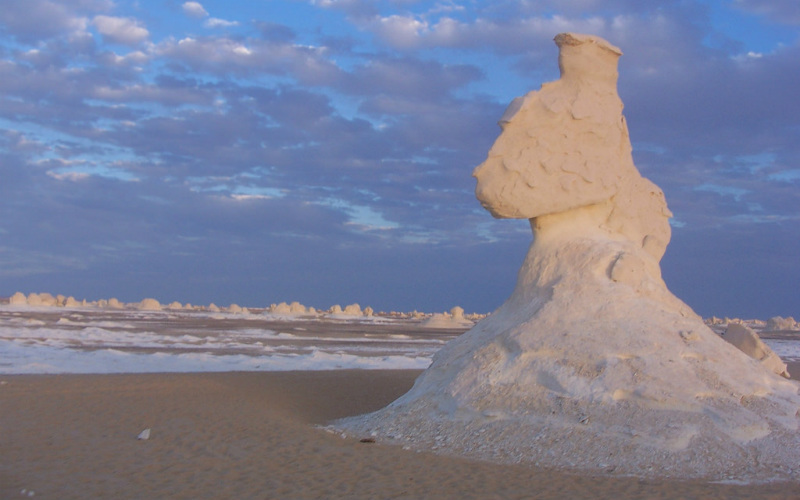 Situated roughly 550km southeast of Cairo, the White Desert is most famous for its collection of large, otherworldly rock formations. Appearing as giant white mushrooms rising out of the desert, these formations were created by centuries of erosion during sandstorms. Keen adventurers can even spend a night or two camping in the desert with local Bedouin guides. As the hours progress, watch as the rocks blacken beneath cloud cover, light up with spectacular pinks and oranges at sunset, and glow with the light of the moon at night. A true shape-shifter, visitors’ descriptions of this landscape include everything from ‘stunning’ to ‘alien’ and ‘ghostly’. The only thing you can know for certain? You won’t find it anywhere else on Earth. The White Desert, Egypt. Image Credit: Silviapef / CC by 2.0. Ready to see these incredible sights and more? Secure your place on an unforgettable Egypt tour with Webjet Exclusives today!